Texas Children’s is taking convenient pediatric subspecialty care to another level as we rebrand our Health Centers. All eight are now branded as Specialty Care Clinics and are located throughout the Greater Houston area. Our Specialty Care locations provide many of the same pediatric subspecialty services available at our three hospital locations, just closer to patients and their families. The signage, Epic programming and patient materials now include the Specialty Care name and logo. Texas Children’s has expertise in more than 40 pediatric subspecialties. The name “specialty care” reflects and is more in line with our service offering of specialized care. Many of the same doctors who treat patients at our Medical Center Campus care for patients at specialty care locations. The rebranding of the centers was implemented through a project partnership between IS, Facilities and Marketing. 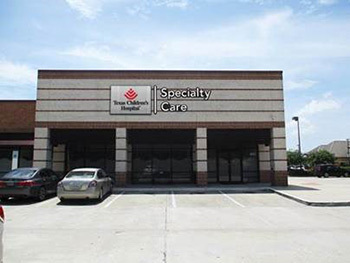 The seven Houston-area Specialty Care Clinics now include: Texas Children’s Specialty Care Bellaire, Upper Kirby, Eagle Springs, Kingwood, Clear Lake, Cy-Fair, and Sugar Land. And in October 2018, the first Specialty Care Clinic opened in Austin to provide our high quality specialized clinical and diagnostic care to children in the fastest-growing city in Texas. Although each location offers different services, they include a wide range of diagnostic services to accommodate the specific needs identified in the respective communities. For providers who would like to put in orders, the order class has changed from Health Center (HC) to Specialty Care (SC). Click here for more information about Texas Children’s Specialty Care.